DIRIS | DIRIS-Board/Display-Bundle - Exhibition Embedded World 2019: DIRIS Digital Video Recorder Boards are now available bundled with selected displays. Exhibition Embedded World 2019: DIRIS Digital Video Recorder Boards are now available bundled with selected displays. The DIRIS-Board/Display-Bundle includes all cable and is ready-to-use. An optional, exchangeble screen protector (either 6H or 9H) reduced the risk of damage in rough use cases. Connectors for power, video/audio and storage media are available on-board. Additional interfaces can be added using IO-Adapters (see photo with different video inputs and outputs). A flexible OEM configuration regarding all graphics, TTF font, colour selection, menu structure, all texts (different selectable languages, too) enables individual adaptation to requirements, branding and corporate identity of different OEM customers. 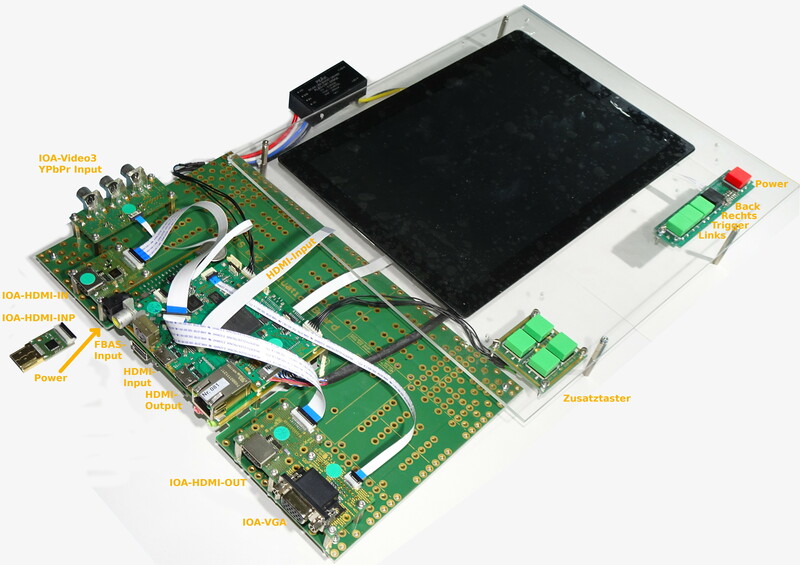 The DIRIS-Board/Display-Bundle is the ideal OEM component for all devices needing video recording and visualization. It enables minimal effort for development and production. X-SPEX is specialist for industrial video systems. X-SPEX offers OEM components capable of vizualization, recording and playback of videos, designed for industrial and medical applications. Important values are industrial quality, simple usage, versatile configuration and, if demanded, customer specific variations of our products. The company, founded in January 2003, develops hardware and software in Berlin/Germany. DIRIS products are manufactured with different EMS partners in Germany. X-SPEX is exhibitor at the Embedded World exhibition for more than 10 years at the same location: hall 1, booth 1-481.